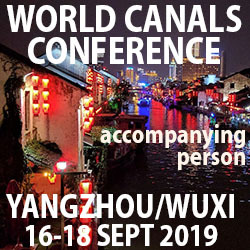 The WCC will be hosted on September 16-18, 2019 by the World Historic and Cultural Canal Cities Cooperation Organization in collaboration with the China Asian Economic Development Association and the Municipal People’s Governments of Yangzhou and Wuxi. 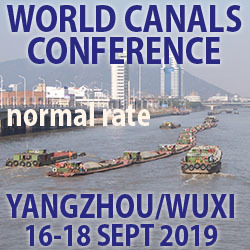 Full details are published on the conference website, and are being finalised by the working group formed by WCCO with the two municipal governments of Yangzhou and Wuxi. Abstracts are invited from speakers up to March 31, 2019. Post here. Hotel accommodation is guaranteed in the two conference venue hotels, the ShangriLa Hotel in Yangzhou and the Worldhotel Grand Juna Wuxi. To be paid for online to the former (details will be supplied) and by credit card at the hotel for the Wuxi hotel. The post-conference tours are booked through the conference website, and paid for by credit card in China, at registration on Sunday September 15th. The unofficial map, above, illustrated a tour organised around the 2012 World Canals Conference. 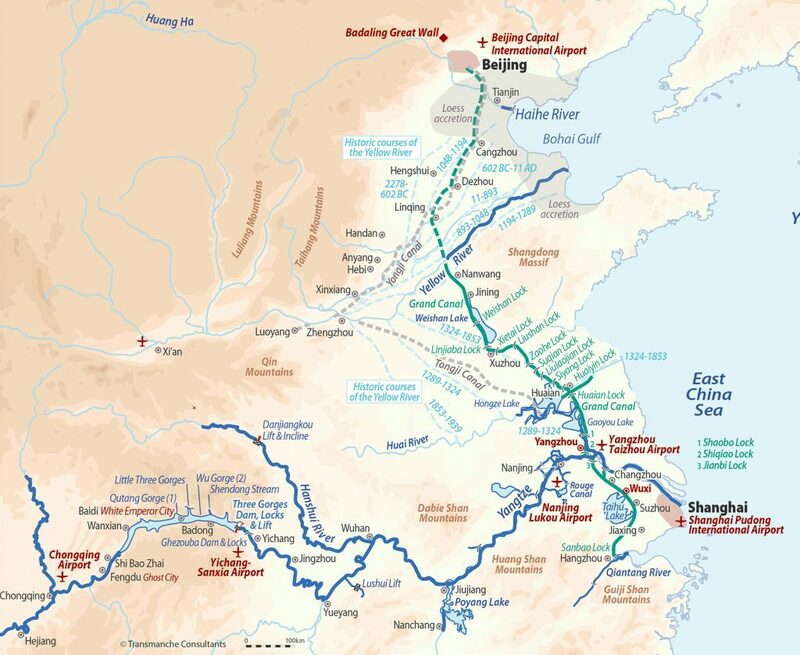 It shows the locations of Yangzhou and Wuxi, two of the 35 cities* that lie along the 1800km-long Grand Canal between Hangzhou and Beijing, now a UNESCO World Heritage Site (since 2014). Yangzhou is strategically located near the junction with the Yangtze River.